MOOSIC, PA (January 24, 2018) - The Scranton/Wilkes-Barre RailRiders, Triple-A affiliate of the New York Yankees, have announced that Jay Bell will manage the club in 2019. He played over 2,000 games during an 18-year, Major League career and has spent the last two years managing in the Yankees organization. Bell is joined on staff by pitching coach Tommy Phelps, hitting coach Phil Plantier and bullpen coach Doug Davis, all of whom are returning to the RailRiders dugout. Athletic trainer Darren London and strength and conditioning coach Brad Hyde will also return to the RailRiders for the upcoming season. "I'm certainly excited about this opportunity," Bell said. "I truly enjoy the New York Yankees approach to player development. The organization's code revolves around respect, hard work and creating a winning atmosphere. We will strive to help players achieve their goals with an eye on making an impact in the Majors." Bell, 53, was initially selected in the first round of the 1984 June Amateur Draft by the Minnesota Twins and was traded to the Cleveland Indians a year later. He made his Major League debut in 1986 and spent three years with the Indians before becoming a fixture at shortstop for the Pittsburgh Pirates. After a year with Kansas City, Bell moved on to anchor the Arizona Diamondbacks infield seasons, including winning the 2001 World Series. Bell scored the winning run in Game 7 as the Diamondbacks edged the Yankees. After the 2003 season, Bell retired and joined the Diamondbacks field staff. He also served on staffs for the Pirates and Cincinnati Reds staffs and within the Diamondbacks Minor League system. New York hired Bell in 2017 to manage their Advanced-A team in Tampa, and he led the club to an 85-50 record. The Yankees promoted Bell to Trenton in 2018 and he paced the Thunder to 79 wins. Bell took his teams to the playoffs in each of those seasons. "When it comes down to it, not one thing I can teach is an original thought," Bell added when asked about his approach. "It's all plagiarized. I have a tremendous respect for Hall-of-Famer Alan Trammell. I learned from him and he learned from the generation prior, who learned from the players before that. It's all part of what we learn and we will use that to help build Major League-caliber players." eighth round of the 1992 First-Year Player Draft out of T.R. Robinson High School in Tampa and made his Major League debut for the Florida Marlins in 2003. This will be his 11th season as a Minor League pitching coach for the Yankees, having spent time with Trenton (2009-2014) and Tampa (2015) before joining Scranton/Wilkes-Barre. Plantier heads into his second season within the Yankees organization. The former Major League outfielder was the RailRiders hitting coach in 2018. Plantier was initially drafted by the Boston Red Sox in 1987 and made his big league debut in 1990 at age 21. Plantier played portions of eight seasons in the Majors, spending time with the Red Sox, Padres, Astros, A's and Cardinals. Since retiring, he has spent time as both a manager, hitting coach and hitting coordinator in the Seattle Mariners farm system and managed Lake Elsinore in 2011. From 2012 through 2014, Plantier was the hitting coach for the San Diego Padres. Davis is a Bloomsburg native and 2019 will be his third season with the Yankees organization. A Central Columbia High School graduate, Davis was selected in the ninth round of the 1984 First-Year Player Draft out of NC State and played professionally for 12 years. Davis began his coaching career in 1996, won a New York-Penn League title with Pittsfield in 1997, a South Atlantic League crown with Columbia in 1998 and was on the staff of the Florida Marlins when they won the World Series in 2003. "Tommy, Phil and Doug are phenomenal guys," Bell said. "I think we have a great rapport and are all very like-minded. I think we will have a good core of players as well. It will be neat working with a lot of players for the third straight year and seeing that interaction help them thrive." London returns for his 27th straight season as the athletic trainer of the Yankees' Triple-A affiliate. He was the International League's Trainer of the Year in both 2006 and 2012. Hyde was the RailRiders strength and conditioning coach each of the last two years. He graduated from Arkansas State in 2009 with a B.S. in exercise science and begin working for the Yankees in 2014. In addition to London and Hyde, Mike Macciocco returns as the clubhouse manager and Joe Wielbruda joins the staff as the video manager. 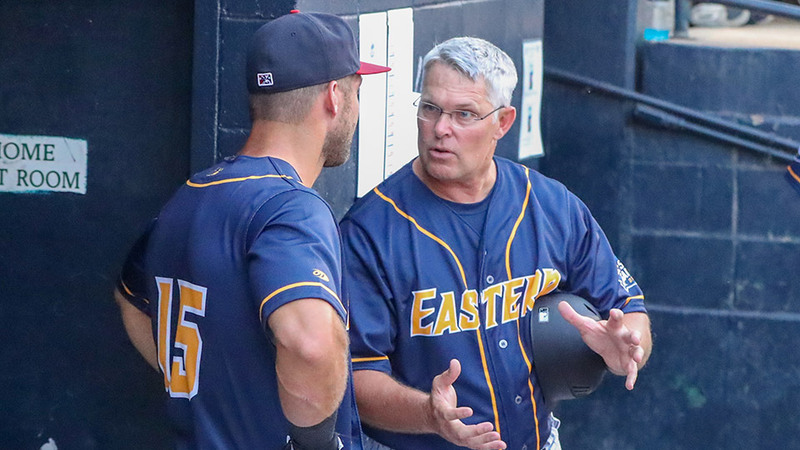 "Jay Bell's track record over the last few seasons is tremendous," said Josh Olerud, Scranton/Wilkes-Barre Team President and General Manager. "We have been fortunate to have New York send us strong leadership over the years. 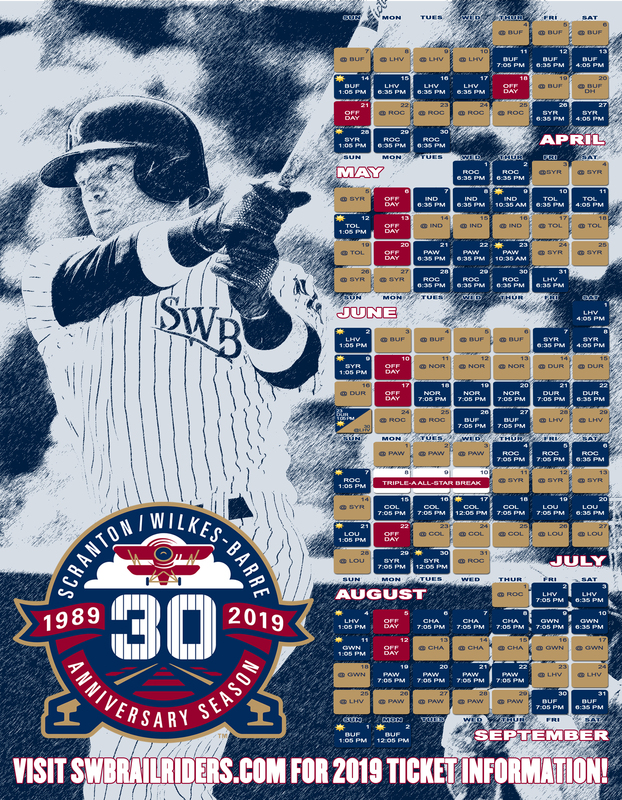 With Jay taking charge, along with having Tommy, Phil and Doug return, I believe we are positioned for another winning season, a playoff spot, and certainly, the chance to watch more RailRiders wear Yankees' pinstripes this year." Please direct all media and interview requests to Adam Marco, the Director of Marketing & Media for the RailRiders. He can be reached at 570-558-4637 or via email at amarco@swbrailriders.com. The 2019 season begins on April 4 at Buffalo with the home opener on April 11.